Vilebrequin "Palan" piqué polo shirt. Tonal turtle logo embroidery at chest. Johnny collar; eyelets behind neck. Faherty "Bleecker" polo shirt in heathered knit. Spread collar; three-button placket. Chest patch pocket. Short sleeves. Vented hem. Pullover style. Faherty "Bleecker" polo shirt in heathered knit. Spread collar; three-button placket. Chest patch pocket. Short sleeves. Vented hem. Pullover style. Cotton. Made in Peru. 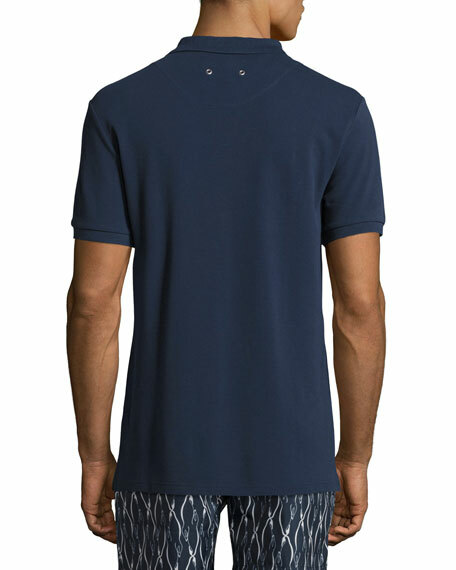 EXCLUSIVELY AT NEIMAN MARCUS Kiton knit polo shirt. Spread collar; three-button placket. Short sleeves. Pullover style. Vented hem. Cotton. Dry clean. Made in Italy. 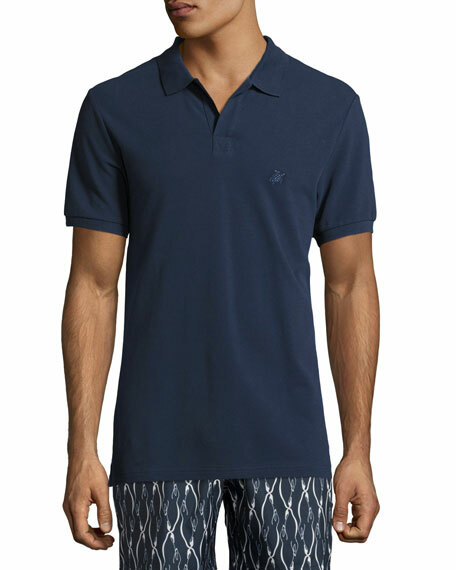 Peter Millar Collection polo shirt in Perfect Piqué knit that provides stretch and breathability. Spread collar; mother-of-pearl three-button placket. Short sleeves with banded cuffs. Vented hem. Pullover style. Tailored fit. Cotton/Tencel® lyocell/Lycra® spandex. Machine wash. Imported. Model's measurements: Height 6'1"/185cm, waist 32"/81cm, typically wears size M.